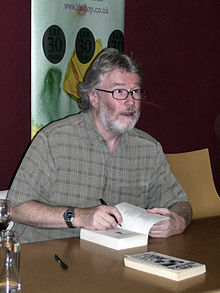 It is with great sadness that I read today that the author, Iain Banks, has only a few months to live. Not long ago I went to Luton Central Library to listen to him talk about his career in writing. He was thoroughly engaging, charming and wonderfully funny and I subsequently purchased a copy of The Wasp Factory which he signed for me. From what I have read, Iain is approaching his early demise with great courage and humour. I hope, as no doubt we all do, that his remaining months are as pain free and happy as possible. Iain Banks: A legend in his own life time. 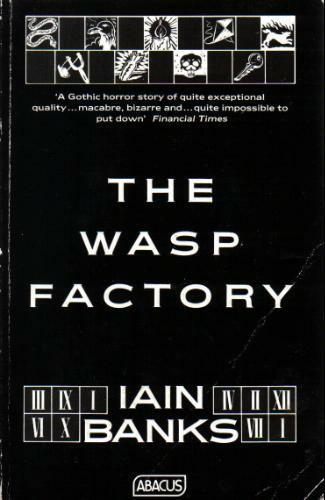 The Wasp Factory, first published in 1984 -the book that began it all.